Someone at Lamborghini has been watching too much Top Gear. Pitting a Lamborghini Aventador S against an aerobatic plane may sound like the sort of elaborate setpiece you would see in Top Gear, The Grand Tour, or a Forza Horizon video game, but this is an official publicity stunt endorsed by Lamborhgini. Set in Valtellina in the Livigno Alps, the challenge starts with a skier racing against an aerobatic pilot, performing spectacular jumps, spins and manoeuvres. But just when the skier seemed defeated, he jumps into a Lamborghini Aventador S and the race takes a different turn. 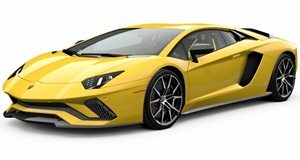 It’s entertaining to watch, but the video is of course designed to demonstrate the adaptability of the Aventador S. The supercar was tested extensively on snow and ice, resulting in the electronic stability control being modified to provide maximum grip in all conditions. Combined with a four-wheel drive system sending more torque to the rear wheels, the video also highlights the new EGO driving mode in the Aventador, allowing drivers to change the traction, steering and suspension to their preferred setting. Most exotic supercars are ill-equipped to tackle these conditions, but the Avendator S seems to be in its element sliding in the snow and navigating treacherous mountain roads at high altitude. In case you needed reminding, the Avendator S features the same 6.5-liter V12 as the standard model tuned to deliver an extra 40-hp for a total 730-hp and 509 lb-ft of torque, resulting in a 0-62 mph time of 2.9 seconds and a 218 mph top speed.